Bitfinex is possibly the best bitcoin exchange on the market right now. With margin trading available and high volumes, it is a must have for any serious trader. Bitfinex offers margin trading which means users can borrow money and leverage their original money for collateral while paying interest. Bitfinex offers 2.5:1 leverage trading, which is useful for experienced traders. Remember that when you trade on margin there is a liquidation price, and if that price is hit it liquidates all your asses to cover the margin position. Bitfinex is registered in British Virgin Islands. The platform is owned and operated by iFinex Inc.
SMS/Text based authentication: User register their phone number and each time you attempt to log in, either a text or a voice call will provide you with a login pin. Users set the preference for either text or voice call in their account security settings. Google Authentcator: User downloads the google authenticator app and uses it input the generated code. If you do not plan on depositing or withdrawing fiat currency, there are no verification checks and/or standard AML/KNC procedures. Standard AML/KMC procedures of passport and bank statement apply as well as an information sheet scanned and emailed to security. At the current moment USD is the only currency supported by Bitfinex. 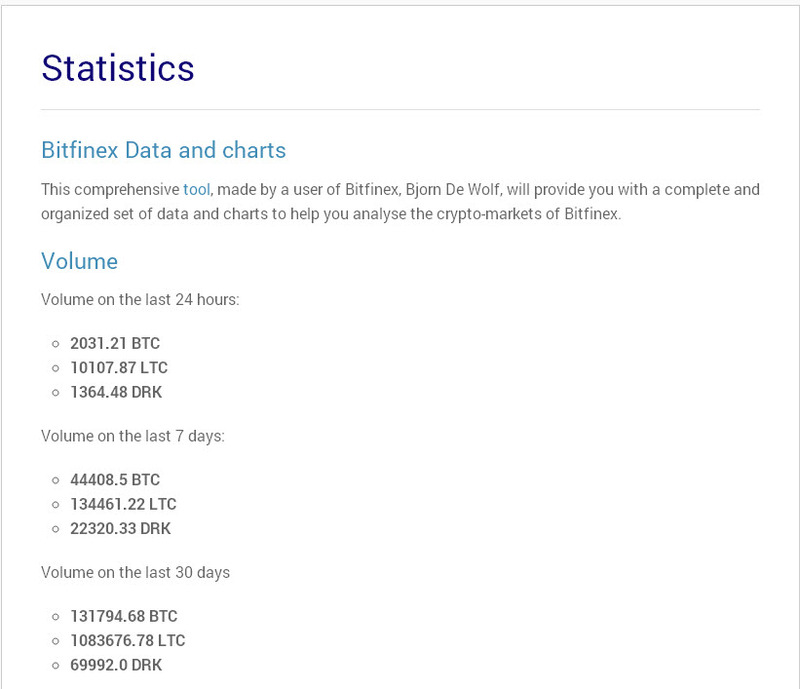 That, however has not slowed down the increased liquidity and trading volume at Bitfinex. At Bitfinex, USD can be deposited by either wire or egopay. Wires are usually sent to a bank in Hong Kong and Taiwan. 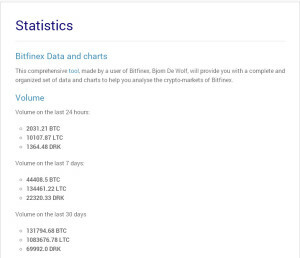 On average it takes about 3-5 business days before the wire arrives at Bitfinex. Egopay limits are quite small and need to be heavily increased to do trading of a average size. There is also a 2% fee to deposit using Egopay. Users can withdraw either by bank wire, egopay or by withdrawing BTC, LTC or DRK direct to their wallets. The fee for a wire transfer is 0.1% of the amount withdrawn, with a minimum of $20.00. There is also an express wire option for 1 business day processing at a 1% fee. The mobile view is definitely a bit lacking at Btifinex and there is no app available for trading. The site is not mobile optimized and would be difficult if you don’t have a high resolution phone.